This Halloween, we actually convinced more than one person to come over for some partying! So of course, I had to make food. There’s 7-layer dip on the left, bruschetta and toast with some parmesan, and all kinds of veggies on the right. And this was before the mac and cheese! 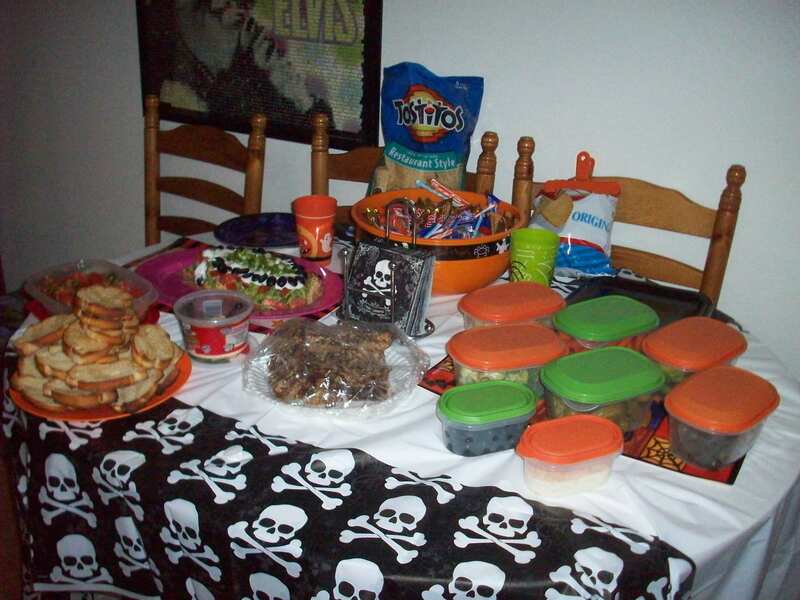 Oh wait, did I forget to mention the scrumptious halloween bars in the middle? It was awesome having people come over, even if it was only for a couple hours, and I got some pretty awesome reviews about the food spread. I just think that I’m my mother’s daughter, and made way too much food. But that’s okay, now there’s plenty of leftovers! So this mac and cheese, I’ve mentioned it twice! I guess I have to explain it! 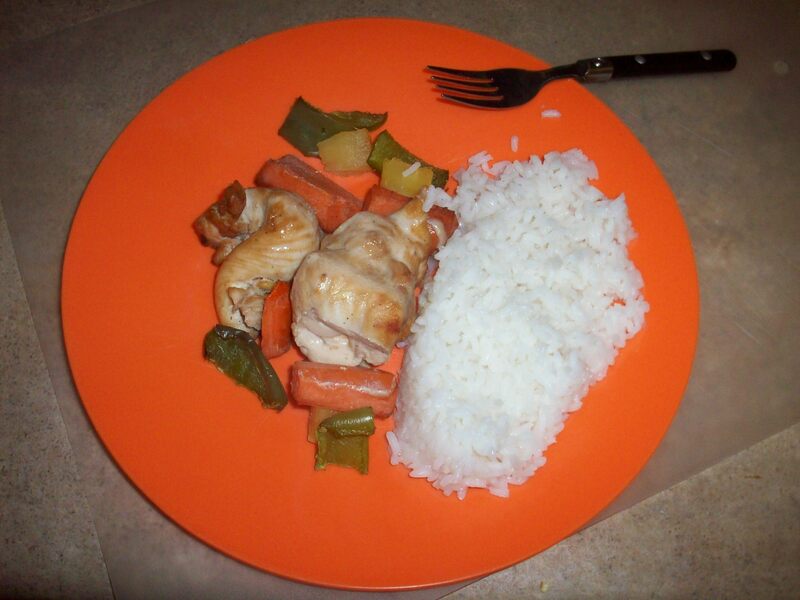 I got it out of a cooking for groups book that belongs to the roomie, and then I changed it a little. It uses penne rigate noodles, sweet italian sausage, heavy cream, chicken stock, garlic, mushrooms and did I mention the cheese?! 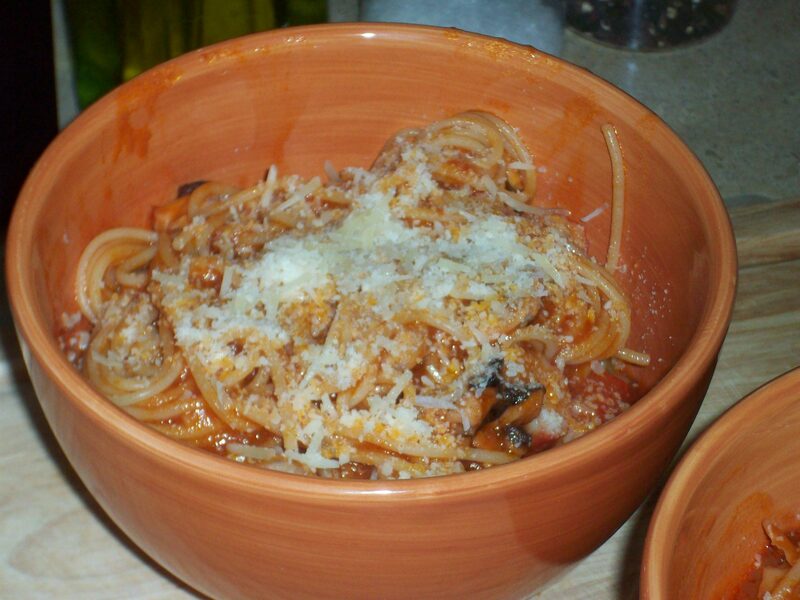 There is 2.5 cups of italian style shredded cheese in this dish, not to mention the half-cup of parmesan. So basically, boil up the noodles and brown up the sausage. Then drain the sausage onto some paper towels and use the same pan (this is my favorite part! Less to wash!) to saute the mushrooms and garlic with some butter and olive oil. After about 5 minutes, pour in a cup of heavy cream and a cup of chicken broth, and stir it, bringing it to a low bubble. This is the part where I should have been cackling. Finally, add the 2 cups of italian cheese, and let it all melt together. After draining the pasta, pour this cheesy goodness and the sausage into it and then pour all that into a casserole dish. 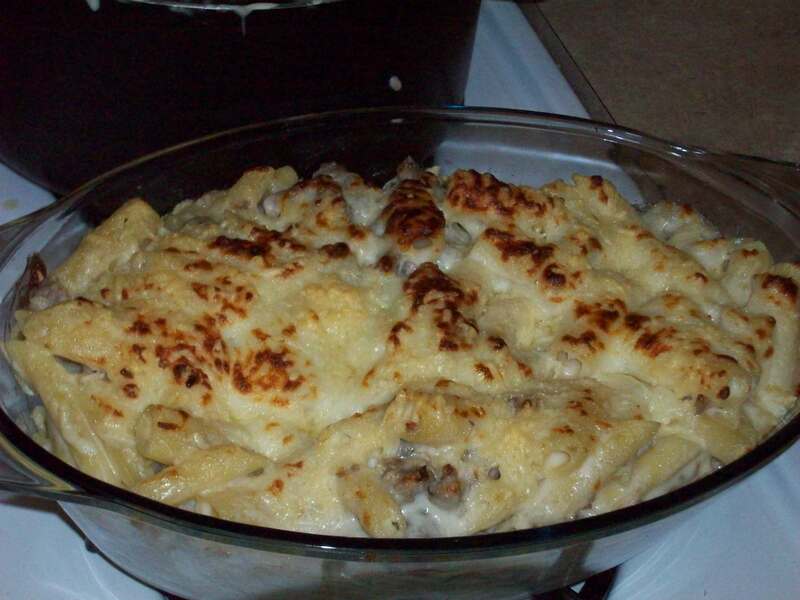 Cover the casserole dish with the other cup of the two cheeses and bake until golden. And let me just top all this off by saying that 80s horror movies like Scream are cheesy, and hilarious, but they make a great party movie because no one is actually scared. They’re just yelling at the stupid characters and telling them what they should be doing. It’s awesome.